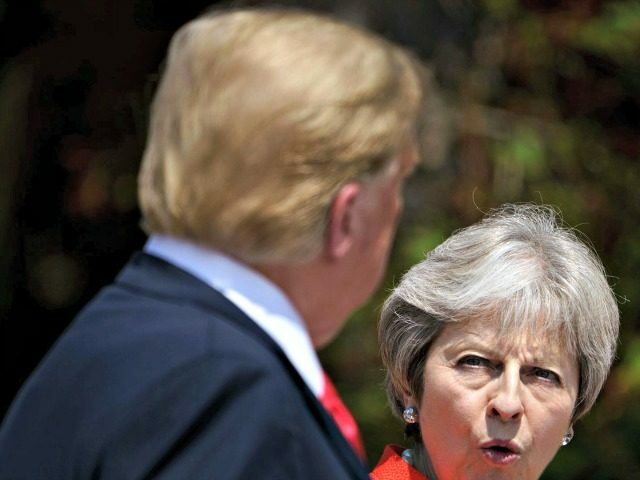 President Donald Trump criticized the emerging Brexit deal for Great Britain to leave the European Union on Monday. “Sounds like a great deal for the EU,” Trump said mockingly as he left the White House. The president expressed concerns that if the deal was passed, it would hamper trade between the United States and Great Britain. “Right now, if you look at the deal, they may not be able to trade with us and that wouldn’t be a good thing,” he said. Prime Minister Theresa May has been roundly criticized by both political parties for failing to deliver a better deal for the United Kingdom. The deal still needs 318 votes for approval from the House of Commons. Trump indicated he wanted the PM to take another look at the deal. “Hopefully, she’ll be able to do something about that,” he said, referring to May.